heads | Heathcliff, For Why? 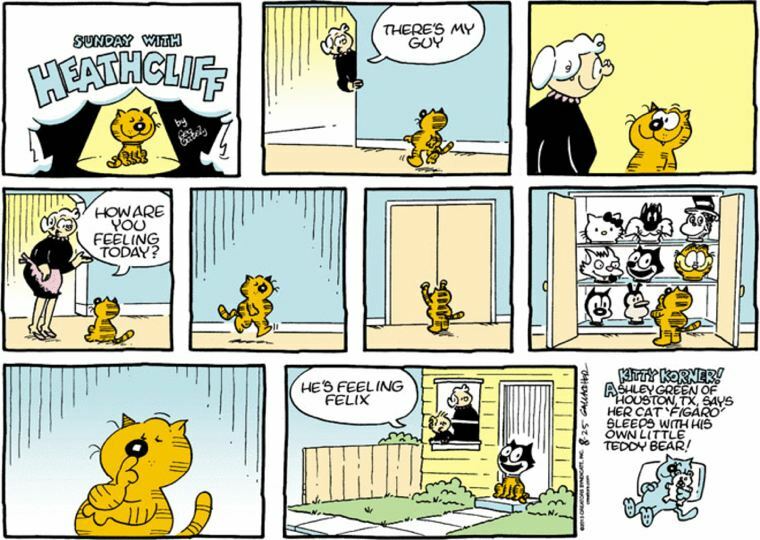 Soon after, I ended up exploring the GoComics Heathcliff archives and I haven’t really stopped. 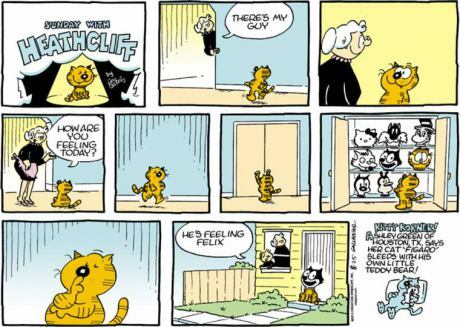 I never really got anti-comedy until I started reading Heathcliff. These comics are so unfunny and, very often, nonsensical that they crack me up. No, I don’t understand why. This blog is me finally listening to my friends and cataloging all the ridiculous Heathcliff comics I encounter. I’m do not own the copyright for these images, I’m just providing critical commentary on them. Crucial even. Maybe. It’s commentary or some sort. Also: thanks to The Comics Curmudgeon for existing. Josh Fruhlinger’s site has been a frequent source of hilarious Heathcliff (and many, many other comics) commentary. Please read his site. So much hilarity.